With Hayao Miyazaki retired from film, director Isao Takahata was left to carry on work at Studio Ghibli. His 1999 film, My Neighbors the Yamadas, would continue his own tradition of breaking from the norm at the studio. The family comedy would be the first computer generated film from the studio with the machines better able to reproduce the watercolor comic book effects than traditional cell animation. Unfortunately, the film wasn’t as large a financial success as had come to be expected from the studio. 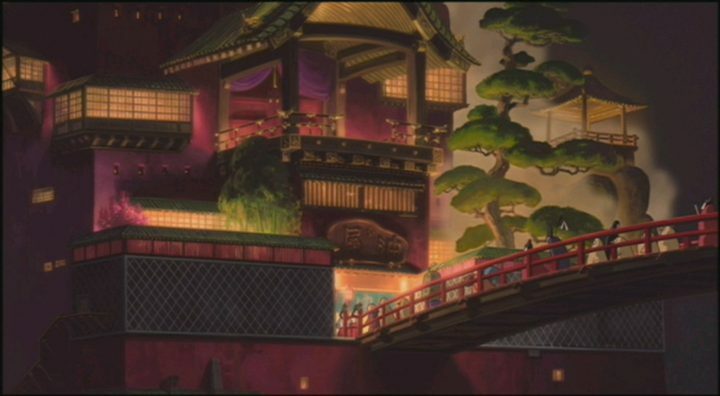 Meanwhile, Miyazaki had been inspired by the mysterious nature of traditional Japanese bath houses, European-styled buildings from the Meiji period, and an extravagant old inn called the “Notoyaryokan.” The trials young girls faced as they grew into adolescence, something he noticed in his friends’ daughters, would also become a focal point of the new film. All of these elements would come together in Spirited Away, a movie about a ten-year-old girl and her parents who become trapped in a world of spirits, where she must toil in a bathouse for ghosts while trying to get free from the employ of the greedy witch Yubaba. 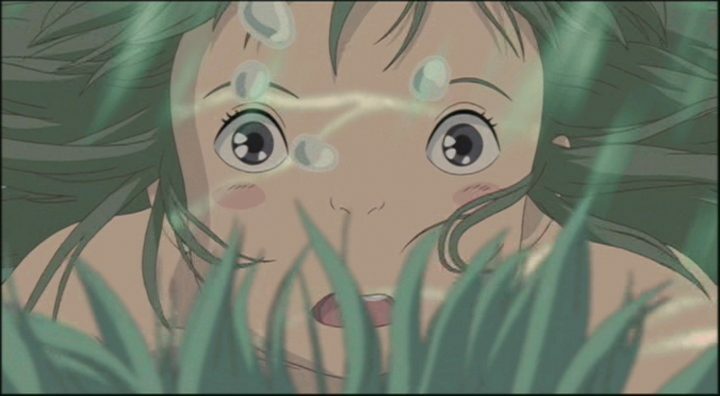 With its rich setting, endearing lead, and memorable characters, it was no surprise when Spirited Away earned the first Academy Award for Animated Feature Film in 2001. John Lasseter was tasked with bringing the film to American theaters, which included translating it into English. Although great care was given to translating it, Ghibli chose to keep all merchandising rights. The result was that while in Japan it was the highest grossing film, the sparse marketing allowed for only a minimal global reach. To this day, the film remains a much awarded mainstay of Ghibli’s filmography. Veteran animator Hiroyuki Morita stepped in for the Whisper of the Heart spin-off film, The Cat Returns. 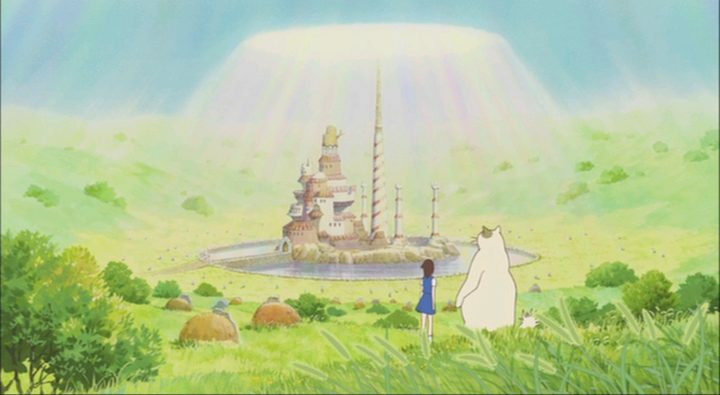 The movie explores the fantasy elements mentioned in its predecessor in greater depth, showing schoolgirl Haru’s journey through the Cat Kingdom in an effort to prevent her own marriage to the Prince of Cats. Morita brought his own style to the film with character designs that are more stretched and angular compared to the classic Ghibli appearance. 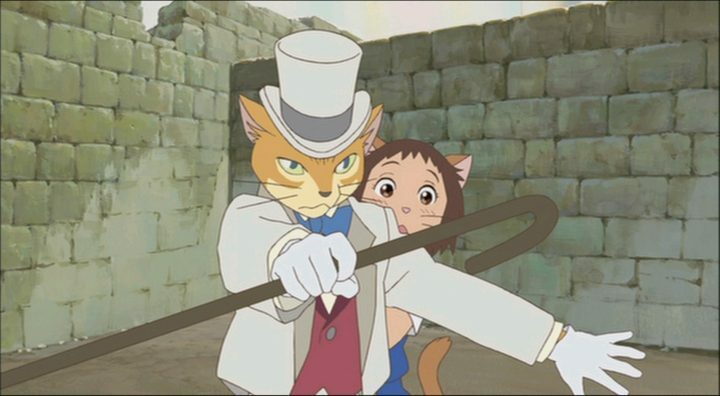 While The Cat Returns still grossed fairly high in Japan, it was mostly a layover film used to fill the gap until Hayao Miyazaki’s next big hit. 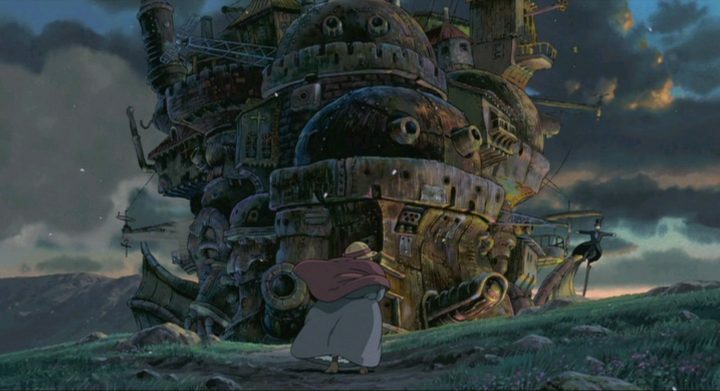 Diana Wynn Jones’ novel, Howl’s Moving Castle, would be the inspiration for Miyazaki’s next movie. The director sought to defer from the source material in offering additional themes of pacifism, feminism, ageism, and compassion. In addition, the Iraq War in 2003 had embittered Miyazaki further on combat to the point where he wanted to make a film that made his audience uncomfortable and forced them to consider the negative effects of such conflict. 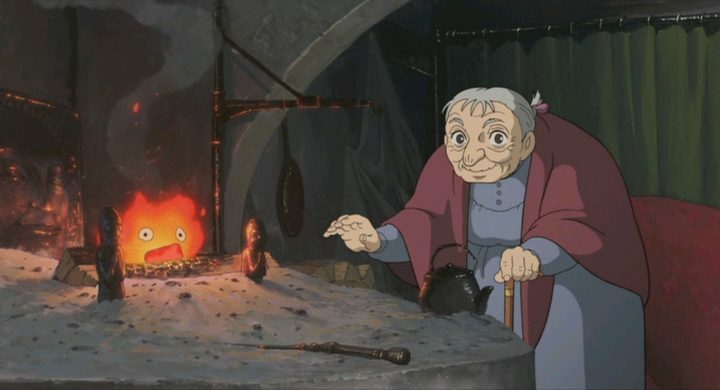 The story revolves around a young woman under a witch’s curse that has turned her into an old woman. On her journey to find a cure, she meets up with the wizard Howl and becomes further embroiled in the war between two countries. Rather than recoil at the harsh criticism of the war, American audiences embraced the film, pushing the studio further into mainstream entertainment in the country. While successful, Miyazaki and Takahata still lacked an official heir to their legacy. Intimidated by his father’s success, young Goro Miyazaki chose a career in landscaping instead of film. This would change when, while consulting on the studio’s latest project, Tales from Earthsea, producer Toshio Suzuki was greatly impressed with Goro’s storyboards. Much to Hayao’s surprise and dismay, Goro was hired on as the film’s director. The famed animator had wanted his sons to earn their way in the industry through hard work. To have such a high ranking position bestowed upon them without ever having worked in animation before was a betrayal of Hayao’s core beliefs in success by merit. Regardless of his father’s feelings, Goro continued with the project with the hope that it wouldn’t damage the relationship between him and his father permanently.